Announcements: Lecturer, Reader Positions at Essex; Lecture in London on Terrorism and Justice; Call for Papers on Migration; Seminar in London on Int’l and EU Environmental and Energy Law; EJIL:Live! 1. The University of Essex is advertising two new posts in International Human Rights Law (or related areas of PIL). (1) Lecturer/ Senior Lecturer / Reader (permanent, full-time). (2) Lecturer (fixed term 18 months, full-time). Comments Off on Announcements: Lecturer, Reader Positions at Essex; Lecture in London on Terrorism and Justice; Call for Papers on Migration; Seminar in London on Int’l and EU Environmental and Energy Law; EJIL:Live! Sometimes, it seems that it is the reality of international law that provides one with questions of treaty law that probably even a sophisticated international law professor would have had problems inventing. On November 19, 2014, San Marino became the 19th State to have ratified the amendments to the Rome Statute on the crime of aggression. At the same time, Art. 15bis, para 2 and Art. 15ter, para. 2 of the Rome Statute in identical terms provide that “[t]he Court may exercise jurisdiction only with respect to crimes of aggression committed one year after the ratification or acceptance of the amendments by thirty States Parties” and further provided that under Art. 15bis, para. 3 and Art. 15ter, para. 3 respectively, a decision has been adopted by the Assembly of States Parties to activate the Court’s jurisdiction concerning the crime of aggression, such decision to be taken at the earliest in 2017. 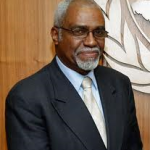 What is worth noting, however, is that by now there are also eleven States, namely Cabo Verde, Côte d’Ivoire, Grenada, Guatemala, the Maldives, the Phillipines, St. Lucia, Tunisia, Vanuatu, Moldova and the Seychelles that have ratified the Rome Statute after the Kampala amendment on the crime of aggression was adopted. All of those States, when ratifying the post-Kampala Rome Statute, did so without expressing an intention not to be bound by the treaty as amended. This raises the intriguing question whether 19 + 11 equal 30, i.e. whether these new contracting parties ought to be counted towards the quorum required, as mentioned, by Art. 15bis, para 2 and Art. 15ter, para. 2 of the Rome Statute in order for the Court to exercise its jurisdiction. Following up on Aurel’s post on the Jaloud v. Netherlands case, I want to add a few brief thoughts regarding the bottom line of the judgment and what it means for the overseas military operations of European states. First, Jaloud confirms the general trend in the European Court’s case law towards a more expansive approach to the extraterritorial application of the ECHR. Whether you think an expansive approach is a good idea or not, the trend is there, since the normative pull of universality is hard to resist, and as the Court becomes increasingly more familiar with applying the Convention to extraordinary situations. I personally feel that the judgment is correct in its basic approach to extraterritoriality, even if there is some conceptual confusion between various questions of jurisdiction and attribution, on which I will write separately. But the basic message to states is this: trying to exploit the many contradictions in the Court’s case law on extraterritoriality to deny the applicability of the Convention in this case or that will in most circumstances end in defeat. Rather than fighting a losing battle, states should focus their energies on arguments on the merits on which they are more likely to win. Last week, the Grand Chamber of the European Court of Human Rights delivered its judgment in Jaloud v Netherlands. The case arose out of the fatal shooting of Azhar Sabah Jaloud by Dutch troops in the early hours of 21 April 2004 at a checkpoint in Iraq. The applicant claimed that the investigation into the incident was inadequate and therefore in breach of the Netherlands’ procedural obligations under Article 2 of the European Convention on Human Rights. Jaloud is the latest in a growing line of Strasbourg cases addressing the application of the Convention to extra-territorial military operations. The Court’s jurisprudence on the subject is a source of endless fascination. Like any good thriller, its twists and turns leave the observer suspended in fearful anticipation on a never ending quest for legal certainty. Will the law stretch as far as the facts or is jurisdiction a threshold too far? Will the Court prevail against conceptual confusion? Which of its dicta is up for silent reversal? And what will be the next victim of normative conflict? 1. A new episode of EJIL:Live! was published this week. Episode 3 of EJIL: Live! features a fireside chat between the Editor-in-Chief of EJIL, Prof. Joseph Weiler and Prof. Jan Klabbers of the University of Helsinki, whose article “The Emergence of Functionalism in International Institutional Law: Colonial Inspirations” appears in Vol. 25, Issue 3. The interview was recorded at the European University Institute in Florence, Italy. Video and audio are available here. Resolution 2178 is not in itself the basis for criminalising the behaviour it seeks to suppress. On the contrary, it resembles the classic suppression conventions, i.e. international treaties imposing the obligation on contracting parties to prohibit individual forms of conduct in their national law and, where applicable, to criminalise and punish them. So no foreign fighter-suspect could be tried and sentenced on the legal basis of Res. 2178 alone. But the reason is not, I submit, that a Security Council resolution could never – from the perspective of international law − function as a “lex” in the sense of the principle nulla poena sine lege. The reason is that the “lex” here does not in itself explicitly establish the crime, but on the contrary explicitly asks states to do to, through their domestic criminal law. Res. 2178 makes it amply clear in its wording that it does not intend to establish the criminal offence directly. It may well be that under the domestic law of some countries, the understanding of nulla poena is stricter. However, if we want to uphold a functioning system of global governance, states and scholars must develop an “internationalised” principle of legality that need not consist only in the lowest common denominator but which is informed by values of global constitutionalism. This is Part I of a two-part post. Read Part II here. At a summit meeting of 24 September in which over 50 government representatives were heard, the Security Council unanimously adopted Resolution 2178 (2014) which foresees measures to contain the travel of and support for persons intending to participate in terror acts, notably against the background of the rise of the group “Islamic State in Iraq and the Levant” (ISIL) and the Al-Nusra front and other affiliates of Al-Qaida. Resolution 2178 “reaffirms” what previous resolutions since 9/11 had found, namely that “terrorism [normally committed by natural persons] … constitutes one of the most serious threats to international peace and security” (preamble first indent; see previously, e.g., UNSC res. 1368 (2001)). In preamble indent 12, the Council defines a “new threat”, namely the “foreign terrorist fighter threat” which “includes, among others, individuals supporting acts or activities of Al-Qaida and its cells”. Most paragraphs of the res. 2178 are, in their structure, not novel. They oblige states to adopt measures, and “ensure in their domestic laws” (para. 6) to suppress, combat, prosecute, and penalise the recruiting, organising, transporting, and equipping of individuals travelling for the purpose of perpetrating terrorist acts, e.g. in paras 2, 5, 6, 8. The obligations to criminalise certain behaviour seem, however, quite far reaching as also pointed out by Kai Ambos. One interesting feature of res. 2178 is that it directly addresses individuals: Operative para. 1 “demands that all foreign terrorist fighters disarm and cease all terrorist acts and participation in the conflict”. The three interrelated questions discussed in this post are whether res. 2178, firstly, creates binding international legal obligations for individuals themselves; secondly, whether (some of) the resolution’s provisions are directly applicable in the domestic order of the UN Member states; and thirdly, whether the non-observance of these individual obligations constitute a crime by virtue of the resolution itself. International individual obligations flowing from Res. 2178? A new episode of EJIL: Live!, the Journal’s official podcast, is now available. Episode 3 of EJIL: Live! features a fireside chat between the Editor-in-Chief of EJIL, Prof. Joseph Weiler and Prof. Jan Klabbers of the University of Helsinki, whose article “The Emergence of Functionalism in International Institutional Law: Colonial Inspirations” appears in Vol. 25, Issue 3. The interview was recorded at the European University Institute in Florence, Italy. Video and audio available here. Filed under: Announcements and Events, EJIL: Live! I formulated the central thesis of this book at the height of the ‘liberal confidence’ that was witnessed during the Bush and Blair administrations. At that time it seemed that a new world order was emerging and that a serious attempt was underway to fundamentally reorganise the political and legal structure of the world order. In short, what we were witnessing was a clash of normative orders between associations of states that I refer to as the international society and the international community. Obviously, matters have become much more complex in recent years – in light of the rise of international terrorism, the global economic downturn, the emerging multipolar world etc – and much of the hype and hubris that once surrounded Bush and Blair’s ‘liberal confidence’ during the 1990s has now substantially faded. But I argue that although the liberal project has changed in form it has not changed in substance, and I continue to stand by my central thesis – namely, that the contemporary world order comprises opposing normative orders (the international society and the international community) and that it is the interface between these associations that provides a convincing explanation for why violations of international peace and security occur.